Decomposition <=> Reconstitution was part of an art project by Clegg&Goodmann for an exhibition in Berlin. 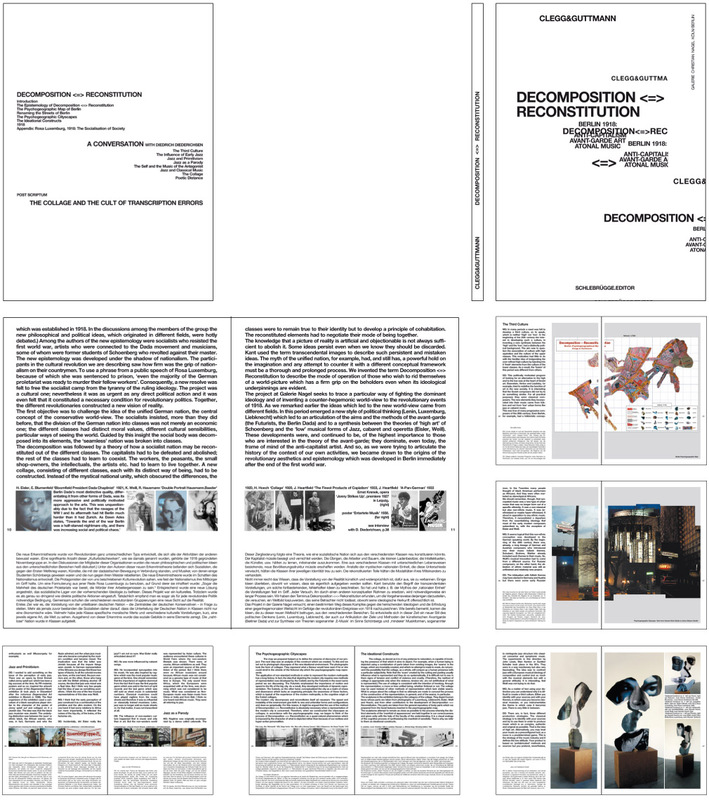 The structure and layout of the book works as a collage, corresponding to the artist’s work. The German and the English texts run parallel through the entire book, an image stripe accompany the text, they work as a part of it. Exhibition views and the artwork are also embedded.